14th Annual Tommy Thompson Reunion Ride Battles the Dragon | Hupy and Abraham, S.C.
June 8-12, 2008, marked the 14th Annual Tommy Thompson Reunion Ride. The former Governor of Wisconsin and Secretary of Health and Human Services met the group in Cherokee, North Carolina, as the group headed out to tame the Dragon (Tail of the Dragon, Deals Gap). There are 318 turns in 11 miles along this stretch of Hwy.129, mostly in Tennessee with about a mile inside of North Carolina. A true test of riding skill and Tommy and the group did indeed tame the Dragon. As always, since the first Tommy Thompson ride, Hupy and Abraham provided the road guard and participant shirts and firm investigator, Tony “Pan” Sanfelipo, filled his annual role as Head Road Captain. This was an exceptional event this year, coordinated by Tony’s wife, Vicki Sanfelipo, and included meals and parties at several local Harley dealerships, a wonderful live play, “Onto these Hills,” about the history of the Cherokee Nation, a visit to the “Wheels Through Time” motorcycle museum (in Pan’s estimation, the best museum of this kind in the country), a tour of the Blue Ridge Parkway and Clingman’s Dome in the Smokey Mountains and the famous rider Ball at the conclusion of the event, sponsored by Cathy and Jerry Weiner. 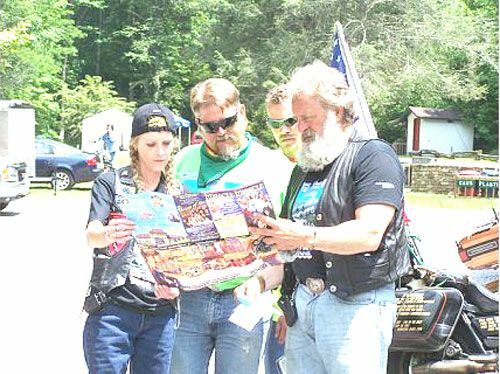 The people in North Carolina were very hospitable and the group was joined by several members of BOLT of the Carolinas who were eager to meet other BOLT members on the ride. There were riders from Texas, Florida, Wisconsin, Michigan, Iowa, Illinois, New York and North Carolina on this year’s ride. Next year Vicki is considering taking the group to New England to tour New Hampshire and Maine. Wherever the ride ends up it’s sure to be another wonderful experience for everyone who attends. 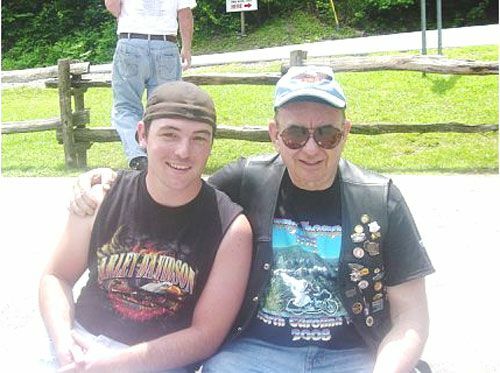 Starting with the ride last year to Iowa, Tommy Thompson agreed to allow proceeds of the ride to be donated to Accident Scene Management. Unlike many other charities, Accident Scene Management, a 501 (c) 3 organization, benefits riders directly.